Smoke from the fires in the west reach Europe. “It’s not that uncommon for smoke from fires in North America to reach Europe,” Seftor said. He has casually noticed, however, that the smoke clouds reaching Europe this year seem to be larger and thicker. 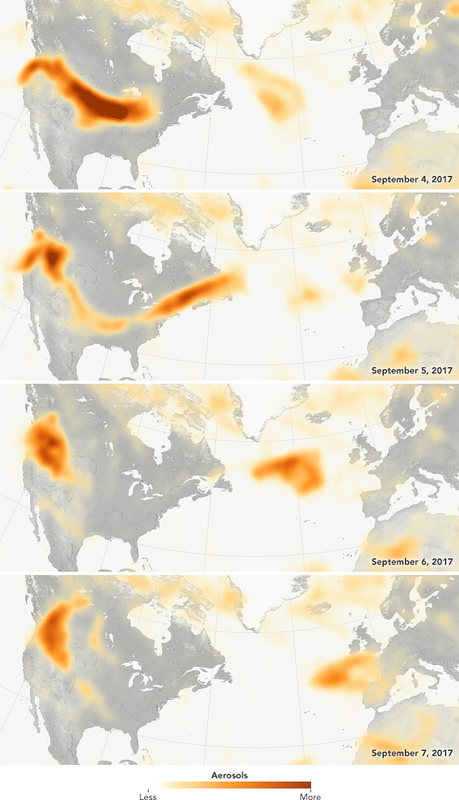 He also points out that they seem to be more persistent; large fires in mid-August sent smoke to Europe that hung around for days. Wildfires were burning long before these maps were compiled, and they continue to burn even now. 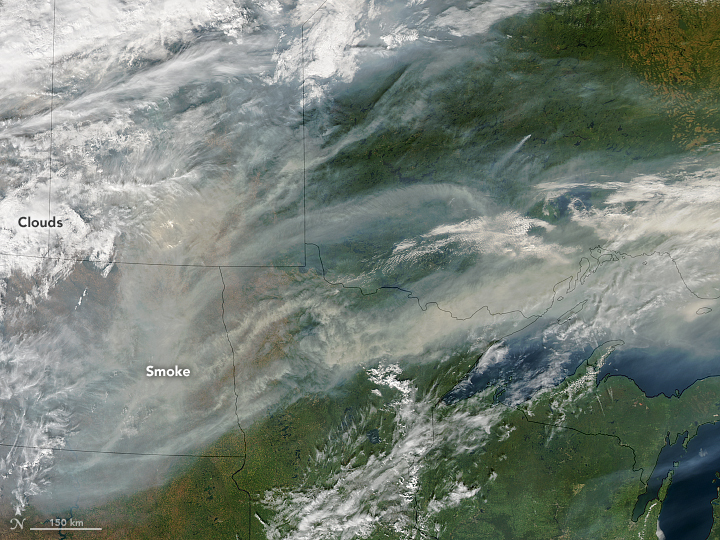 This natural-color image shows smoke across the upper Midwest on September 13, 2017, as observed by the Moderate Resolution Imaging Spectroradiometer (MODIS) on NASA’s Aqua satellite. Record heat in parts of the U.S. West has been cited as a possible cause for the widespread fire activity this year—which was somewhat unexpected, given the region’s wet winter and spring.